The more connected the world becomes the more urgent the need to manage diversity effectively and build an inclusive culture. 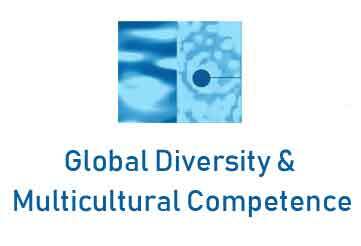 "Global Diversity" provides a sound understanding of the importance of diversity and inclusion and the impact it has on teamwork, motivation, productivity, quality improvement, etc. The course starts with a self-assessment -- THE GDS -- and then covers the meaning of diversity, culture and inclusion, the business case for diversity, and the connection to leadership and values. Making a World of Difference is a one-day customizable program. Participants either take the GDS online in advance, or during the program, on paper. In addition, participants receive a detailed Participant Workbook. Insight into Differences (Head) focused on the "business case" for diversity, a framework for understanding differences, and becoming more objective about the world. Inclusion (Heart) and how we become more sensitive, open to differences, and understand the meaning of fairness. Adaptation across differences (Hands) focused on how we communicate and solve problems more effectively in a multicultural diverse world, and how to engage in personal and professional development, based on personal insights from the GDS. Strengthen the reputation of the organization.